1. 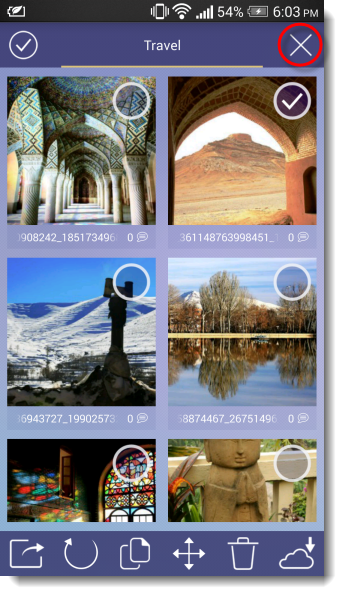 Use AiFoto to manage photos and albums on your NAS and mobile device. 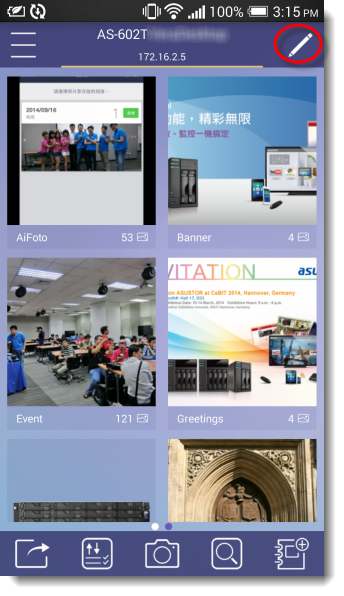 AiFoto lets you access Photo Gallery from your ASUSTOR NAS on your mobile device! 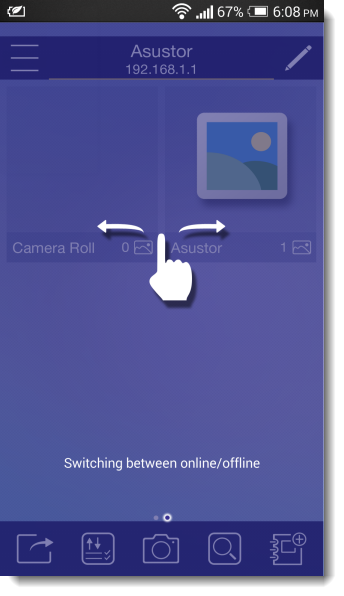 With AiFoto you can user your mobile device to browse and manage your NAS web photo albums and instantly upload photos from your mobile device camera roll to your NAS. 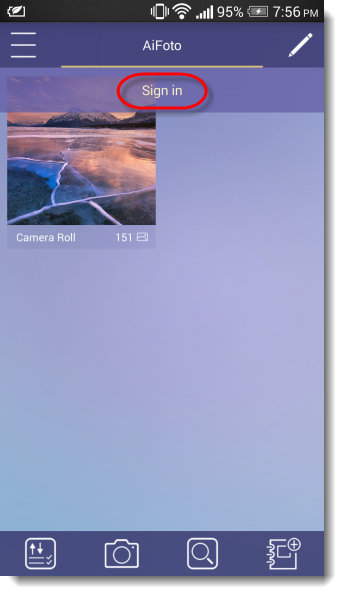 AiFoto also provides you with a Camera Mode allowing you to specify an album and then have any photos you take automatically uploaded to the album. This helps you save a significant amount of time on organizing and classifying your photos. 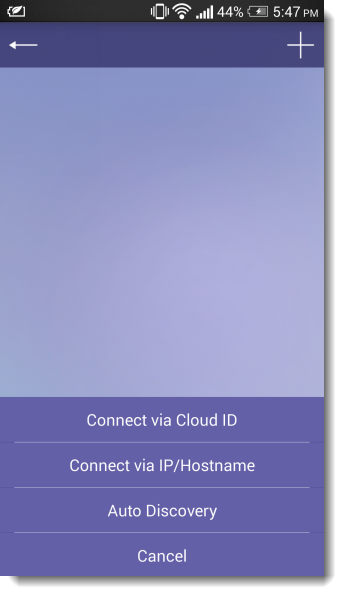 Additionally, AiFoto can be integrated with popular social media platforms (Facebook, Google , Plurk, Line, or Email) allowing you to share conveniently share photos with your friends and family. AiFoto is available for both iOS and Android devices and is available from the Apple App Store and Google Play. Note: In order to use all the functions of AiFoto, you must have Photo Gallery installed on your NAS. For more information about Photo Gallery please see NAS 137 Introduction to Photo Gallery. 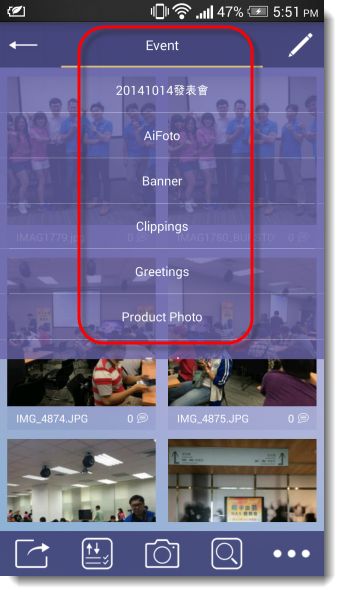 AiFoto provides first-time users with helpful instructions during different steps while using the app. Additionally, these instructions can also be accessed from the settings menu. 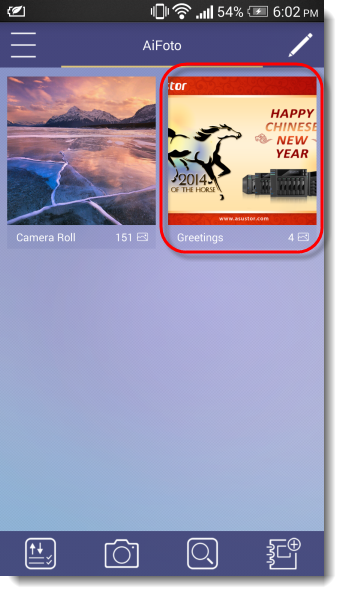 Back: When using Aifoto, selecting the “Back” icon will allow you to return to the previous page. 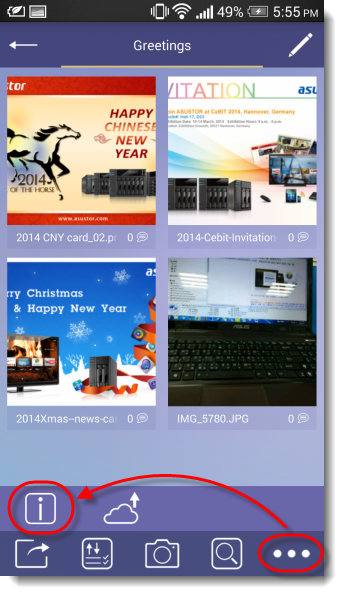 AiFoto is meant to be used with Photo Gallery on your NAS. 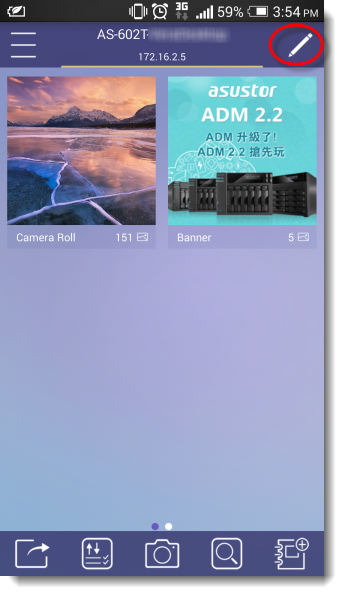 In order to view photos in Photo Gallery, you will first need connect AiFoto with your NAS. 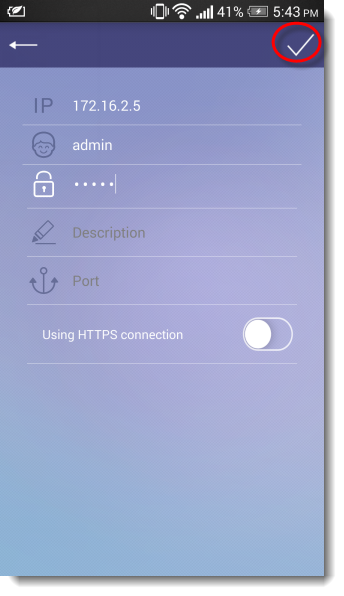 Enter the connection information for your NAS and then select the [Login] button on the upper right-hand corner. ü After opening AiFoto, you will immediately be able to browse photos in your local album (mobile device). 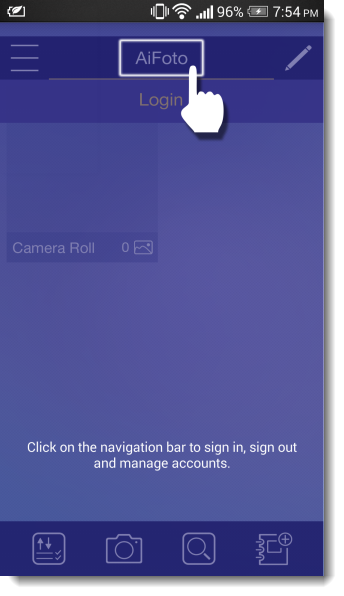 ü After logging in, you will be able to switch between your local album (mobile device) and online album (NAS) by swiping left and right on the screen. 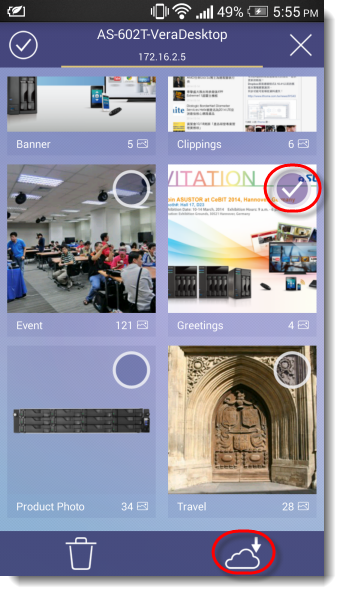 Directly tapping on an album will allow you to enter into the photo wall browsing mode for the album. ü You can select the navigation bar to quickly switch between different albums. ü Tapping on photos will allow you to view them individually. When viewing photos individually you can utilize the photo reel at the bottom of the screen to quickly browse through all the photos in an album. 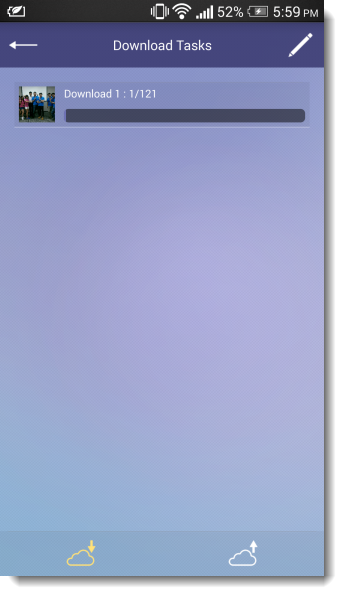 ü In order to create and album, tap the “Create album” icon in the lower right corner of the screen. ü Fill out the fields for Name, Description, Permission (Public, Private, Password) and User Privilege (No privilege, Read only, Read & Upload, Manager). ü Open the album that you wish to edit and select the “information” icon. You will now be able to see and edit the album information. ü In order to delete an album, first, select the “Edit” icon in the upper right corner of the screen. Select the album(s) you wish to delete, select the delete icon and then confirm that you wish to delete the album(s). To upload a local album to Photo Gallery on your NAS, first select the “Edit” icon in the upper right corner. 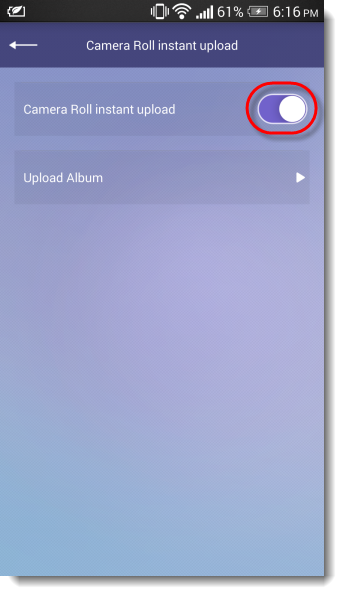 Next, select the album(s) that you wish to upload and then select the “Upload” icon near the bottom of the screen. ü To download an online album, first select the “Edit” icon in the upper right corner. Next, select the album(s) that you wish to download and then select the “Download” icon near the bottom of the screen. ü While downloading, your download status will be viewable by selecting the “Download tasks” icon. ü Successfully downloaded albums will appear in the local [Local Albums] section. You can edit photos from the photo wall view or while viewing a photo individually. When viewing photos in the photo wall view, selecting the “Edit” icon in the upper right-hand corner of the screen, will allow you to select photos for editing. You can select the “cancel” icon to cancel any of your selections. When viewing a photo individually, you can edit it using the toolbar at the top of the interface. When viewing a photo individually, you can select the information icon in order to view the photo’s EXIF information, add a description to the photo, add tags or add a new comment. In the photo wall view, in the bottom-right corner of each photo you will be able to see the number of comments on the photo. Delete: Delete the selected item. 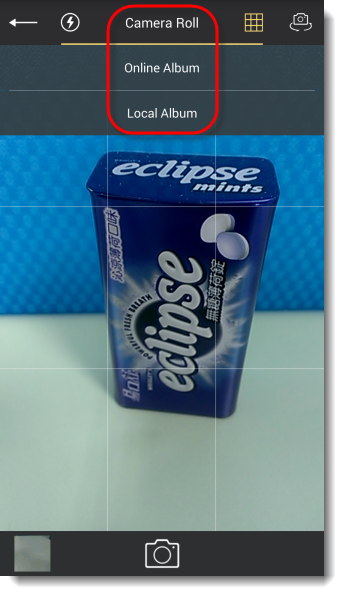 The interface will ask you to confirm once before deleting the photo. 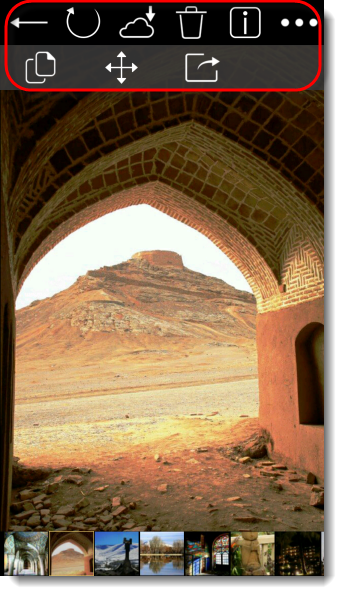 Rotate: This function can allow you to rotate the selected photo 90o, -90o and 180o. Copy: This function allows you to copy the selected photo(s) to any existing albums or a new album. Move: This function allows you to move the selected photo(s) to any existing albums or a new album. 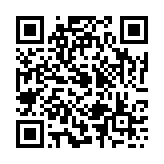 Download: This function allows you to download the selected photo(s) to any existing albums or a new album. 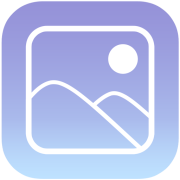 AiFoto provides you with a “Camera Mode” which allows users to first select an upload destination or existing album and then take photos that will automatically be saved to the destination or album. This helps users save time on organizing and sorting their photos. 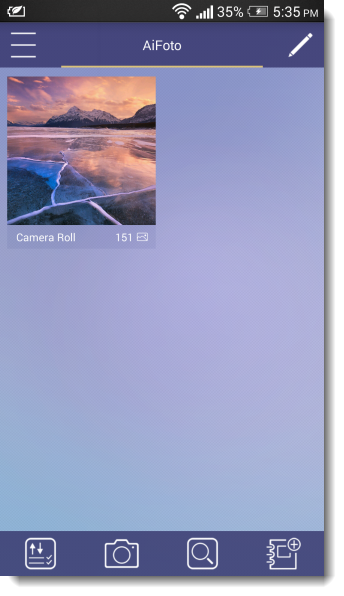 In order to use Camera Mode, select the “Camera Mode” icon from the toolbar at the bottom of the screen. You can specify the album that you want your photos saved to using the toolbar at the top of the screen. 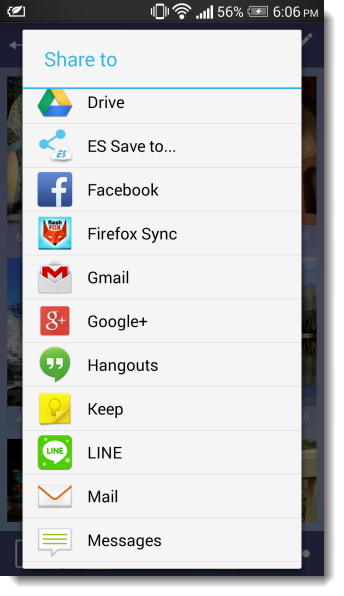 After taking any photos, the photos will be automatically saved to the album that you specified. AiFoto allow you to easily upload your local camera roll to your NAS. 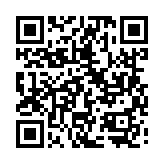 You can manually select photo(s) to upload or enable [Camera roll instant upload]. Camera roll instant upload allows you to instantly upload any new photos on your camera roll to Photo Gallery on your NAS. Any photos that were previously uploaded will not be uploaded again. If you wish to upload previously uploaded photos, please do so manually. ü To configure instant uploads of your camera roll, you can enable the [Camera roll instant upload] item from within the [Settings] menu. ü After enabling camera roll instant upload you can select the album that you wish to upload your camera roll to. ü If you wish to only upload when you are connected to Wi-Fi, you can do so using the option shown in the graphic below. You can change privacy settings from within local albums and online albums. You can do so by opening an album and then selecting the “Information” icon. For offline albums you will be able to configure a password. For online albums you will be able to configure overall permissions and user privilege settings. ü Note: In order to use AiFoto, it must be paired with Photo Gallery on your NAS. For more information about Photo Gallery please see NAS 137 Introduction to Photo Gallery.